What is EB/ Foot Detox? The EB Pro Ion Therapy Systems (the only direct current units to ensure no unwanted power transients or static sounds are passed to the body) are the world's most advanced ION therapy systems to date, facilitating the body's natural processes; such as homeostasis, detoxification and cellular function; through exposure to positive and negative ions. If you are between the ages of 10 and 65 the recommended detoxification cleanse treatment cycle is 2 times a week for 6-8 weeks, to insure a proper detox. For ages over 65 the recommended detoxification cleanse cycle is 2 times a week for 5 weeks. Parents of patients under age 10 should consult their Doctor. An EB Pro treatment takes just 23 minutes! It's a perfect way to remove toxins and restore balance to your body. Each treatment is only $45.00 but if you purchase a block of treatment (10 visits) the cost is 400 dollars for the block saving 5 dollars per treatment! Call today to make your appointment. While we try our best to accommodate every one of our clients, this is a very popular service and without an appointment you may have to wait for a session. 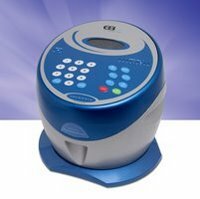 All information about the EB Pro Energy Balancing System and treatments has been taken directly from promotional material provided by Erchonia Medical. Manufactured to ISO standards at Erchonia Medical in McKinney, Texas.